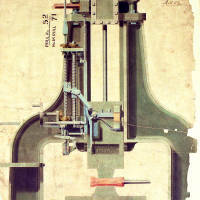 Illustrates mechanical details with plans and detailed sections of elements of the locomotive. Drawing roll 52 no 88. Scale 1 1/2 inches: 1 foot.